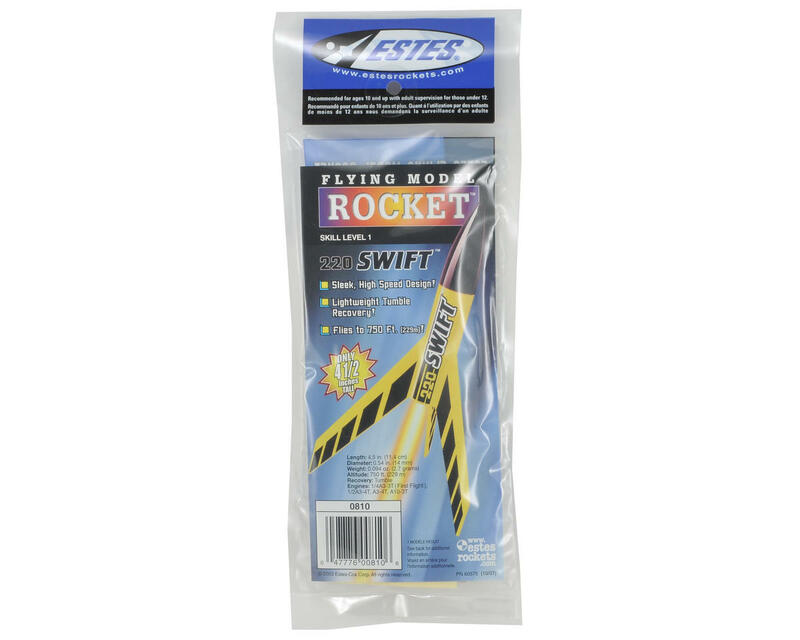 The Estes 220 Swift is a super high performance, mini engine powered rocket with attitude that really knows how to rip through the sky. Great things come in small packages has never been more true than with this little devil. This mini rocket is as sleek as they come and can reach amazing launch heights when used with our economical mini engines. The Swift measures in at an ultra tiny 4.5 inches (11.4 cm) in length but can reach amazing heights of 750 feet (229 m)! 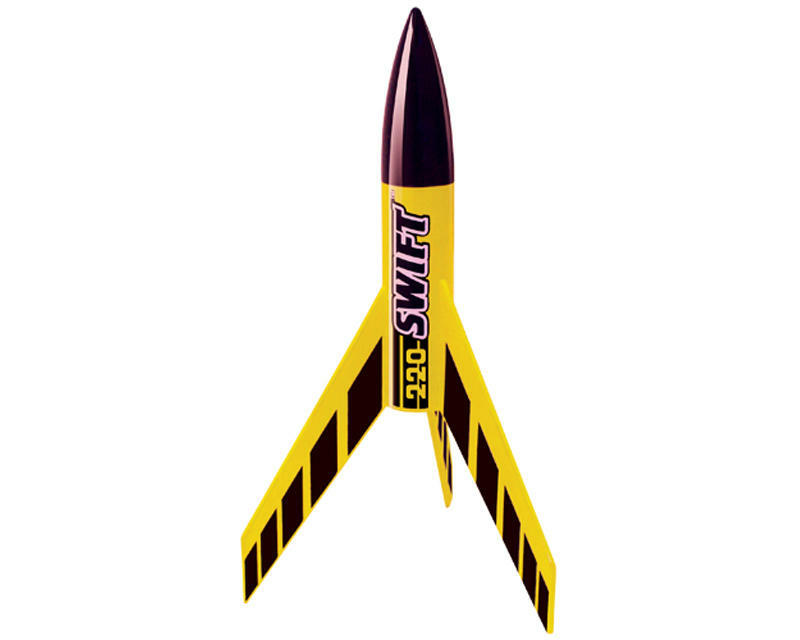 It's easy to build and finish, having just 10 parts including balsa fins for precision performance, a plastic nose cone for durability and cool black and white, easy to apply self-stick decals. No worries about packing the parachute because this high performance mini rocket safely tumbles back to earth after every launch. Talk about dynamite performance, the Swift is a blast to fly! This Skill Level 1 kit requires assembly with sanding and painting. Glue, building tools, finishing supplies and Estes launch supplies required - sold separately. Recommended for ages 10 and up with adult supervision for those under 12.